World-renowned Italian Brand Antica Murrina Venezia © ™, makers of fine Murano Jewelry and accessories is now proudly launched here in the Philippines by Mr. and Mrs. Nardone of Porta Lucerna Trading. It is with excitement and flair of a night of fashion, that the introduction to Antica Murrina Venezia © ™, was sparkling in glamour and elegance, here in Makati at the Buddha-Bar. 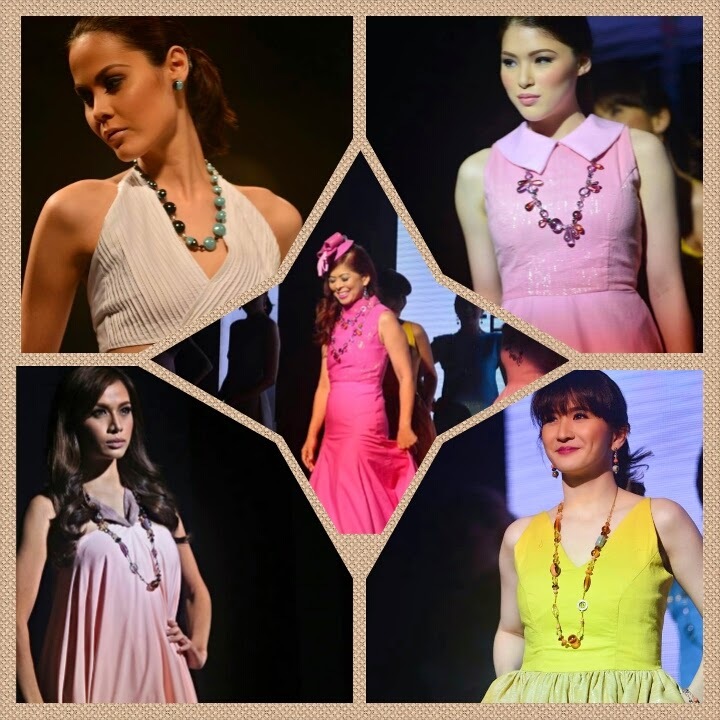 The marriage of the artistry of the East and the West was highlighted with a very colorful Jewelry fashion show that showcased the exquisite pieces of Antica Murrina Venezia © ™, and a collection of classic and colorful resort collection by fast rising designer Ryan Madamba. High note of the night was, that all the dresses were made of local fabric “Abel Iloco”, a hand-loomed cloth proudly made in the Northern Province of Ilocos Norte. The owners, Jenny and Mom Nardone together with Ryan Madamba were the soul curators of the Antica Murrina Venezia © ™, pieces that was showcased during the show highlighting unique Murano jewelry and its craftsmanship through the 31-piece Murano Jewelry collection line, personally chosen from the Autumn/ Winter 2014 collection Antica Murrina Venezia © ™. All of this paired with the dresses for chic casual looks to the most glamorous evening parties for women of varied ages by Ryan Madamba. 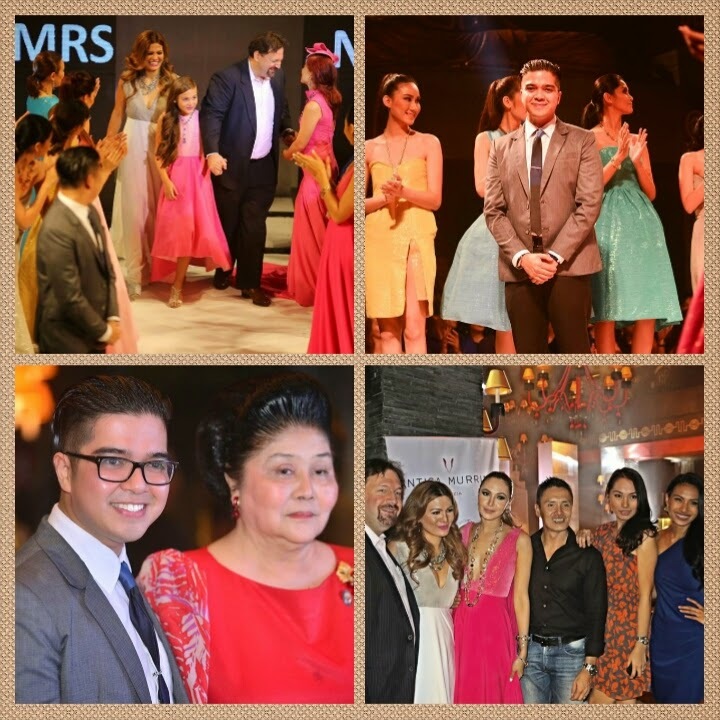 The event was held at Buddha Bar, hosted by charming and witty Issa Litton and was well attended by Manila’s Who is Who from society circles, fashion, politics, show business and industry leaders including Ms. Imelda Marcos, several Ambassadors and several Misses of the Beauty pageant world. Murano is known for glass-blowing since the 12th century. It’s famed Maestros as glassblowers creating vast and elaborate chandeliers, wondrous mirrors, and especially at Antica Murrina Venezia © ™, timeless and beautiful Jewels. Visiting Murano and Venice, is like watching an art from another world, as skilled Italian craftsmen and women shape light and color into the unique beauty of each Murano jewelry. Antica Murrina Philippines is proud to represent its beautiful collection, which cleverly combines a tradition of craftsmanship, with contemporary design and an awareness of current trends. Notte D’ Eleganza which means “A night of Elegance” in Italian, is underlining a premium accent on local artistry and what better way to present these beautiful creations by way of a spectacular fashion & Jewels, combines in one show, graced by some of the most fashionably chic women of today. Manila’s beautiful and known ladies from different facets of society sashayed the runaway as muses of the night wearing each of pieces from the latest Antica Murrina Venezia collection in the likes of Tessa Prieto Valdez, a certified muse in the social scene who is a writer and an interior designer, fashion-savvy Editor in Chief of Mega, Peewee Reyes- Isidro, Divine Lee a media personality and popular endorser and blogger, young actress Ritz Azul of TV 5, Kylie Padilla of GMA 7 and pop royalty, Keana Valenciano from ABS CBN, Rica Peralejo Bonifacio, an actress, singer and blogger, Charmagne Laconico – Beauty Editor of Metro Magazine, Rocio Olbes – one of Manila’s It-Girls and social advocate for welfare of livelihood projects for women in need, the beautiful and fashion-savvy socialites, Jerika Ejercito and Camille Farinas Mathay, Abby Asistio, a musician and social advocate for Alopecia Awareness alongside the top models headed by Asia’s Next Top Model’s Jodilly Piendre ending the glamorous night together with the brand ambassadress, the Face of Antica Murrina Philippines, Ms. Maggie Wilson-Consunji, who walked in beautiful Abel Iloco creations and accent unique masterpieces from Venice. Mr. and Mrs. Nardone, who are the driving soul behind Antica Murrina’s arrival to the Philippines , and who are also the creative purveyors behind the interior design firm Porta Galleria (www.portagalleria.com) here in Manila, offering an unique world of Fusion interiors, and lighting solutions inspired from world class brands, thought it was timely and such a perfect addition to the elite lifestyle pieces that complement people with taste for unique and timeless, classy pieces. And Antica Murrina Philippines was born . One of the guests of honor, flying in from Italy was Antica Murrina Venezia © ™ CEO, Robert Ciotti, who could not keep his excitement throughout the show. During the event he on his Blackberry sending photos and real time updates to his team in Italy calling the launch a fashion event that could have been staged and rival events in Europe. “I was blown away,” he says. “I came knowing it will be a great event but this exceeded my expectations. And as we are looking into more presence in Asia, I could not have asked for better representation for Antica Murrina Venezia © ™, as Mom and Jenny Nardone who are our partners now in Philippines. The dresses were beautiful and did perfectly complemented our Jewels from Murano. Such a beautiful collaboration that makes me even more excited for a brighter future for Antica Murrina Venezia © ™ here in the Philippines. Mom and Jenny Nardone focused on the experience of bringing “Venice jewels” here to the Philippines and gave a glance to everyone, on how master glass makers perfect every piece of jewelry through an exciting fashion show, complete with enchanting music and dramatic lighting, lush and elegant theme that mesmerize the senses. This event was co-sponsored by Ledcore , Porta Galleria, Okee Vitamin Drink, Bestworld Beverage International Inc, Cygnal Travel & Tours, Light Skin Organics, It Figures Skin Care Clinic, and Iphor Trading Inc.
“An Island in Subic? Yes!” That was my reaction when I was given the privilege to join on a blogger’s tour on an Island at the Subic Bay area; it is called the Grande Island Resort. I was too excited that didn’t know what to bring with me, but of course swimming clothes was on top of the list. Off we go, we have to strictly meet-up at 6am so that we can reach the Ferry schedule by 9am, although there is another one schedules at 1pm, I think it is best to get there early so as to start enjoying the day. I believe we were all excited on this new adventure and what Grande Island could offer. As we boarded the Grande Island Ferry we were allowed to go in front so we can have a glimpse of the beautiful sights, enjoy the cool wind, and be able to see where the Island was. It was a good 20 to 30 minutes of boating, it is not boring since we already saw where we are heading, as we reach the Grande Island I can’t barely contain my emotions. And then we finally anchored and were greeted with a glass of orange juice for refreshment. 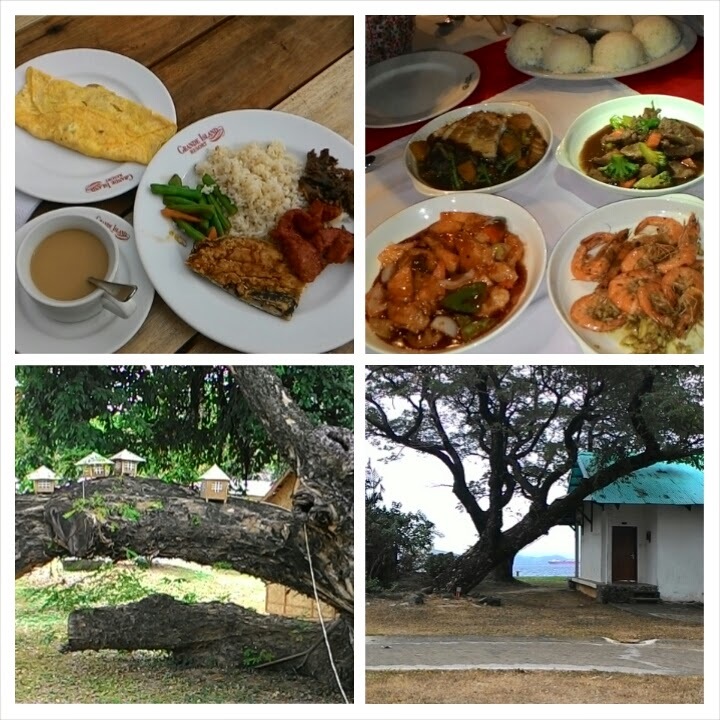 We are a group of 10, and were provided with 5 rooms, 2 persons per room, how cool is that? 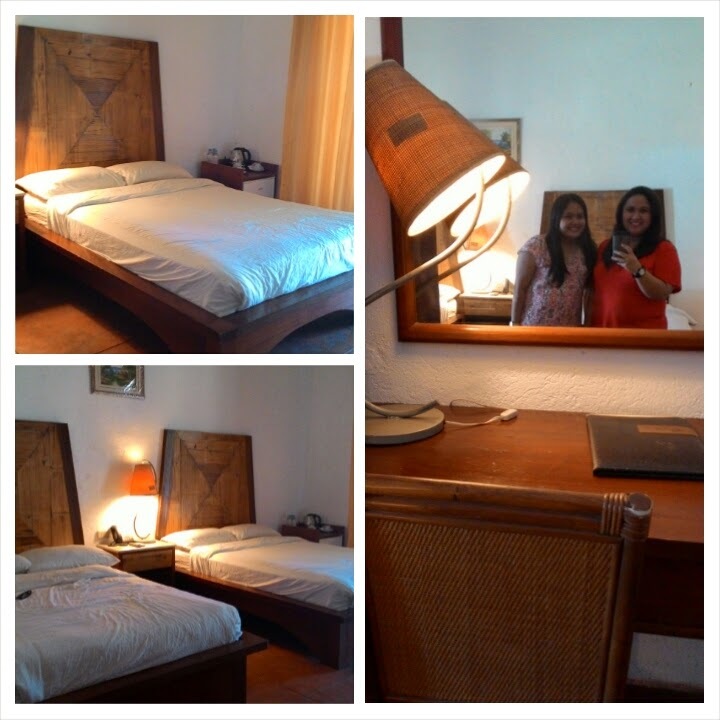 So we hurriedly grabbed our keys and room assignments so we could already settle with my roomie; Ria. Our room was quite big, high ceiling and could fit at least 6 persons, there were 3 Queen sized beds. At a glance, one could think that the main entrance door of the room was like, oh ok, but the back porch was amazing, there was a garden table that could sit 4 people and a view of nature, I felt relaxed. My husband and I travel together a much as we could, so that moment made me miss him and wished he was also there to see and experience the place. Every time we travel and choose a place to stay, we always check on the place if it’s going to be worth our hard earned money. Grande Island may not be the most fabulous resort I have tried and visited, but it gave me that feeling of being in the province, peaceful, surrounded by nature, not crowded and private. This is a place I could recommend for complete serenity, where you can just sit all day, open a book and not be bothered by anything at all. Bikes! There’s a bike station wherein you could rent one and stroll the place, too bad I don’t know how to ride a bike, and I hate it lol! I just settled on pictures though. We were served lunch, and after that was given the go signal that by 2pm we could actually go on trekking the other side of the island. To my surprise, there was a change in activity, we will first do the water activities, and I panicked because I don’t know how to swim either, although I could do some strokes and float knowing that I could step on a ground after. Oh well let’s do this, I was telling that to myself. First up, I heard them say Scuba, and I was like what? What Scuba?! 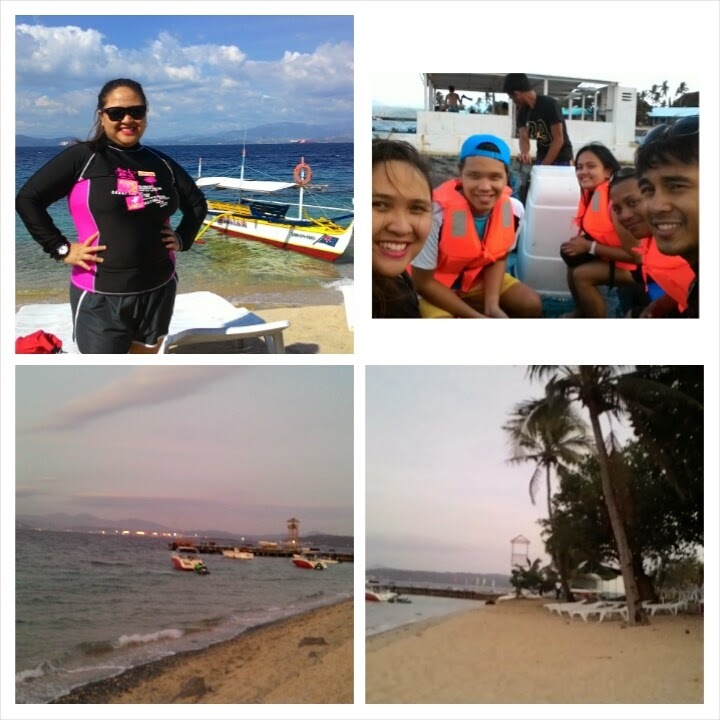 And they cleared that it was the Helmet Diving Activity, the one wherein we would wear a 35kilo helmet that has oxygen in it and we will be walking underwater of about 5meters deep, I think this was also called Reef Walking. We were given instructions on how to do signals under water and then it is a go, I was hesitant, afraid and nervous, I don’t want to freak out in the middle of the activity, so I prayed and asked for strength that I could actually do it, plus the support of blogger friends telling me that I can do it. 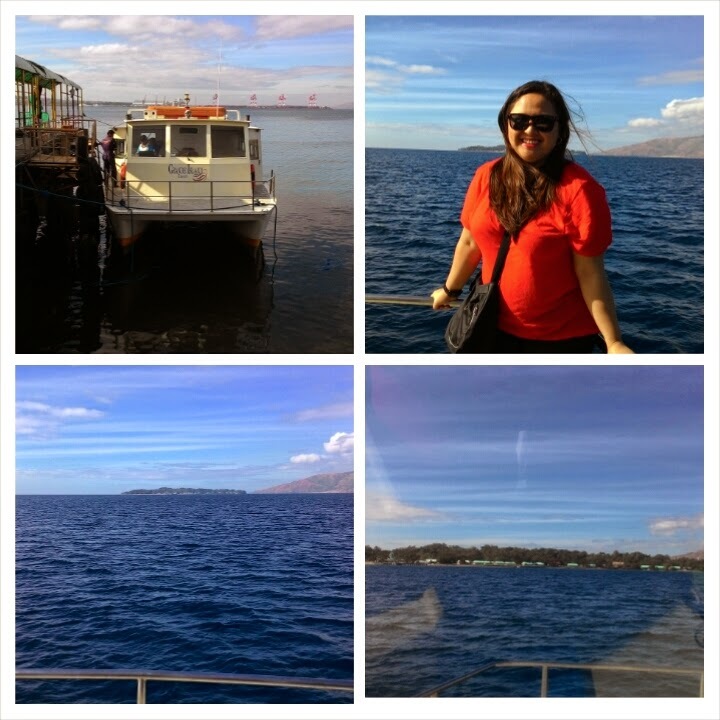 I chose to be last in our group, we were 5, and other group was doing the banana boat ride. My group were all submerged under water, and then it was my turn, one step at a time and finally reached the bottom, I was reminding myself to be calm, after a few minutes, I was already enjoying the activity, we were given bread to feed the different kinds of fish while one of the scuba diver who assisted us took our pictures, and then a video, and then walk some more, sit, jump and do some sign languages and laugh. It was my first and I will definitely do it again. Next was the banana boat ride, I didn’t join since I already experienced it before, but from the looks of my friends, they had fun. We were supposed to go trekking after, but some of us were too tired and dozed off, then we decided to call it a day and just relax during the rest of the afternoon. After dinner, we head back to our rooms, but after a few minutes we were all out and gathered to have some chitchats, until we realized that it was just our group who were still up while the whole Island is so quiet and dark although there were a few mini lights I still think that they could add up some more lights in certain areas especially the roads and walkways just in case some might want to take a stroll and enjoy the sea breeze. I was also looking for a convenience store, yes there were chips at the eatery but I was wondering if they could have a separate store where guests can buy and choose other products aside from what they are offering at the canteen, a typical sari-sari store will be a great addition I guess. Day 2 after the buffet breakfast, we wanted to make use of our time before we leave the island by 2pm. Some went to do the trekking and I decided to join those who will do the Kayaking, the waves were quite strong and made it impossible for others to actually control the Kayak, when it was already my turn, I fell, my balance didn’t work with those waves, I had some bruises but we had a good laugh of what happened to me, at least I tried. Then we were given the chance to try the Jet Ski, and again because of the strong waves my ride was bumpy but very fun and full of adrenalin rush, I didn’t go on my own since it was my first time and was afraid to fall, I was assisted by one of the staff and because he knew I was nervous, he actually gave me the most thrilling Jet Ski ride of my life. 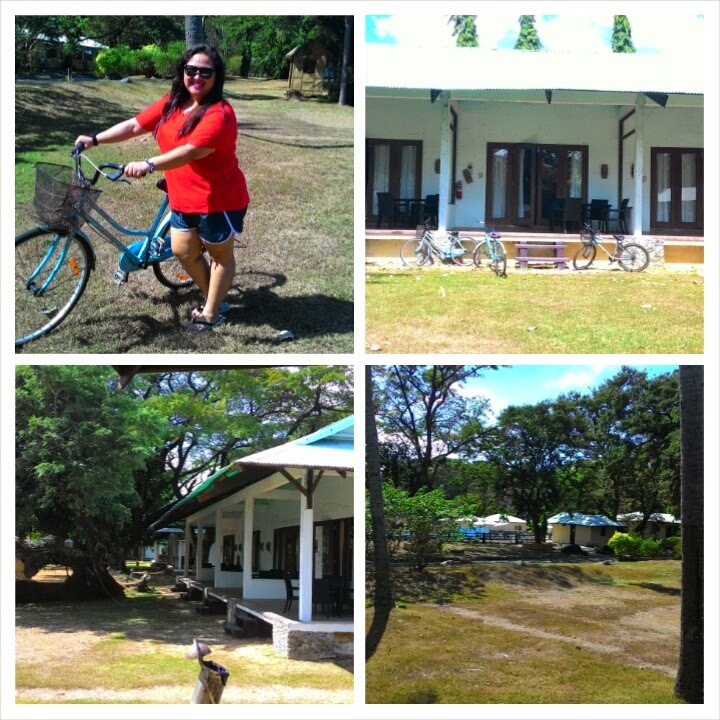 These are just but a few of the activities you, your friends and family can do at Grande island Resort, they also have Horse Back Riding, Zip Line and a huge Swimming Pool since the beach is not yet rock proof but it was okay and was very clean. If you plan to go on a weekend full of activities, not crowdy and enjoy your privacy yet in a place just near the Metro, this is the place to be. Grande Island Resort is one of the places you can check-out. Manila, Philippines – 04 January 2015 – For the young and upwardly mobile crowd, there’s nothing better than having access to the A life – an awesome lifestyle that lets you freely express yourself and have fun the way you want to. The A life means being able to experience life’s greatest moments and sharing these with your friends. Since photos are meant to be shared, you can easily share photos of your A life with friends using your favorite social media channels with the device’s fast network speed of LTE Category 4 standard. To ensure that you always enjoy what technology has to offer in every facet of your life, the A Series was made for seamless multi-tasking and faster browsing experience. The A7 features an Octa Core (1.5GHz Quad Core and 1.0 GHz Quad Core) processor while A5 and A3 feature a Quad Core 1.2 GHz processor. In addition, the Galaxy A Series sports popular features exclusive to Galaxy devices, such as Ultra-Power Saving Mode, Private Mode and Multiscreen, as well as adjustable audio which intelligently adapts and enhances sound output based on the user’s surrounding environment.